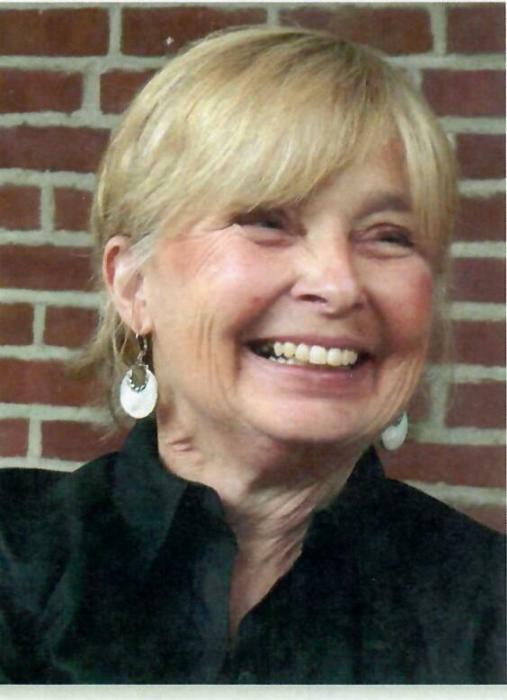 Obituary for Jean Shannon (McCrea) Heckman | Egger Funeral Home, Inc.
Born November 17, 1942 to Rebecca Winifred Sleichter and John McCrea, Jeannie passed away peacefully on May 15, 2018 at UPMC Carlisle Hospital in Carlisle, Pennsylvania. Jeannie is survived by her husband of fifty years, Raymond Rollin Heckman, Jr.; her siblings, John McCrea (Sally Winder), Rebecca McCrea Smith, Margaret McCrea (Patrick Kelly); her children, Shannon McCrea Heckman (Zach Pagel), Benjamin Jacob Heckman (Jordan Kosco); her grandchildren, Isabella McCrea, Clara Shannon Kathleen, Adeline Eilean, Connor Jacob, Elizabeth Isla, William Wesley; her many, many extended family and friends; she was preceded in passing by her parents. Jeannie departed this world on a “Flat Rock-kind-of-day”, a phrase her father would often say to his children on a beautiful day, guiding them to be a part of nature. She was surrounded by her loving family and friends, and left in their hearts an indelible giant thumbprint. She shared her reverence and wonder of nature, her love of gardening and was often thought of as Mother Nature herself. Even more than just her own children and grandchildren, her gentle spirit nurtured many. Like St. Francis of Assisi, she cared for all creatures great and small. Jeannie was passionate about music and literature. Every memory is punctuated with her youthful abandon and infectious laughter. We will see Jeannie in the flowers and the Big Spring, in the moon and the evening stars. We will hear Jeannie in the blue heron, barred owls and the morning songbirds. We will keep Jeannie as our treasured, kindest, gentlest, best friend, beloved wife, closest sister, loving grandma, sage, confidant, muse, and heroic mother. Forever and always. Jeannie devoted her life to helping others during her career. She was employed as a Librarian Assistant at John Graham Library, a medical assistant at Dr. Allwein’s Medical Practice, a Workshop Supervisor at CPARC, a Food Service Manager at Big Spring High School from which she retired, and a teacher at the Springfield School. Jeannie graduated from Big Spring High School in 1960. She graduated from Wilson College with a Bachelor of Fine Arts in English Literature in 1996. Jeannie was a lifelong member of the First United Presbyterian Church of Newville. A Celebration of Life and Memorial Service will be held at First United Presbyterian Church 111 W. Big Spring Ave. Newville, PA, June 30, 11:00 a.m. The family would like to thank the people that cared for Jeannie during her illness in the way that she cared for so many during her life; the compassionate staff and volunteers of Homeland Hospice, Synergy, Messiah Lifeways, Menno Haven, and UPMC. Contributions in her name may be given to her church and/or Homeland Hospice of Harrisburg, PA.